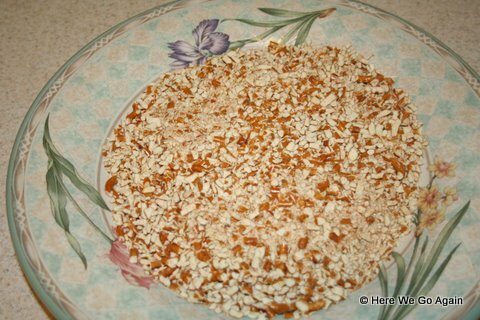 Remember, a really long time ago, when I posted my menu plan?Â And a couple of people asked for my recipe for pretzel crusted chicken?Â No?Â You don’t remember?Â That’s because it was a LONG time ago and I suspect a lot of you weren’t even reading here yet. 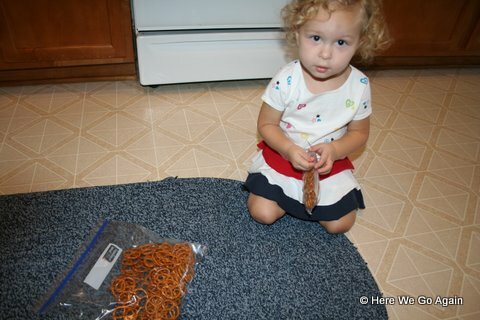 See?Â Doesn’t this helper baby look a fair bit younger than she looks now? 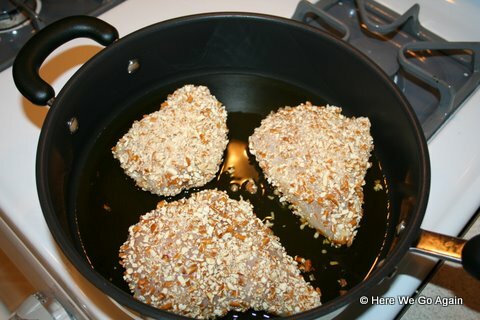 So!Â Pretzel crusted chicken, better late than never.Â This is more of a technique rather than a recipe, as I don’t measure. 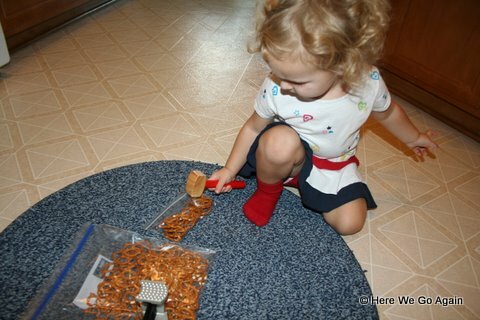 Make pretzel crumbs.Â You actually want yours finer and smaller than the ones shown here.Â (You will see why later. )Â You shouldn’t really be able to see pretzel bits like you can in my picture. 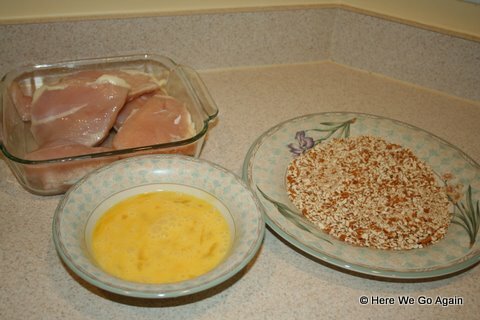 Take raw chicken, beaten egg, and your pretzel crumbs.Â Dip the chicken into the egg and then coat it in pretzel crumbs. Heat oil in a frying pan.Â It should be a pretty good covering of oil, but it doesn’t have to be that deep.Â For frying, I like to use peanut oil because it gives a much nicer brown. 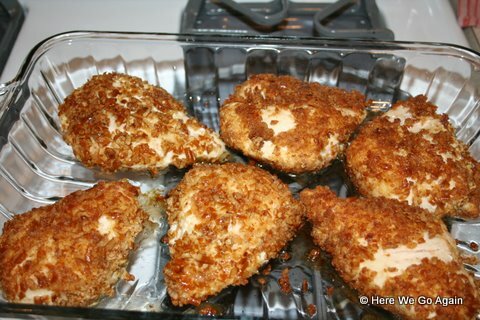 Fry your chickens until the crust is all brown and sizzling.Â You don’t have to worry about cooking through the chicken because you are about to put the chicken in the oven to finish cooking. 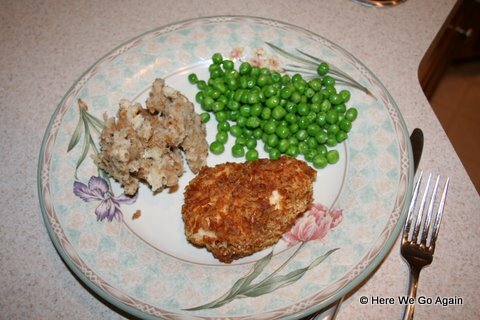 Serve with some other stuff.Â In this case, peas and stuffing.Â The pretzel crust on the chicken is nice and crunchy and slightly salty.